Differences have cropped up between the two parties on a number of issues including the CBI booking three IPFT leaders, including an MLA, for the killing of a journalist last year. A representational image of the BJP flag. 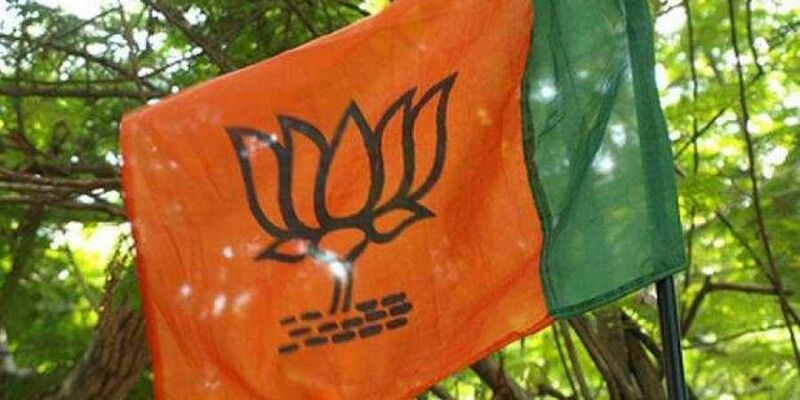 AGARTALA: The Indigenous People's Front of Tripura (IPFT) and its senior alliance partner BJP will contest next year's Lok Sabha election separately, the parties said. While IPFT said it was "forced" to take the decision following BJP's unilateral naming of leaders for the two Tripura Lok Sabha seats, the saffron party has claimed that its alliance with IPFT in this year's assembly election was one-off. The IPFT and the BJP came together for the first time in January this year in a pre-poll alliance to unseat the Left Front after 25 years. According to IPFT, the BJP did not consult it while forming two committees recently and putting leaders at their helm to look after the poll preparations for the two Lok Sabha seats -- East Tripura (ST reserve) and West Tripura. This did not go down well with the IPFT and a decision in this regard was taken in the meeting of the party's High-Level Coordination Committee, IPFT assistant general secretary Mangal Debbarma said. He added that the BJP has appointed state Law minister Ratan Lal Nath and general secretary Rajeev Bhattacharya as in-charges of East Tripura Lok Sabha constituency, while state Health Minister Sudip Roy Barman and party general secretary Pratima Bhowmik were put in charge of the West Tripura parliament seat. "We were interested to talk on the issue. But they (BJP) have put their party leaders in charge of both Lok Sabha seats without discussing with us. We were forced to take this step and contest alone," the IPFT leader said. The IPFT has a significant presence in both East Tripura (ST reserve) and West Tripura Lok Sabha seats, which are currently held by the CPI(M). When contacted, BJP spokesperson Mrinal Kanti Deb said, "The alliance of BJP with IPFT was formed for the last Assembly election held in February. It is not that BJP and IPFT will contest all the elections together. Our state in-charge Sunil Deodhar earlier announced that BJP would contest in all the two seats of the Lok Sabha alone." Deb, however, said the decision will have no impact on the present government. The BJP had electoral alliance Shiv Sena in Maharastra in state elections, but later the two parties fought several elections separately having no impact on the government. I think it would also be like this. There would be no impact on the government, he said.